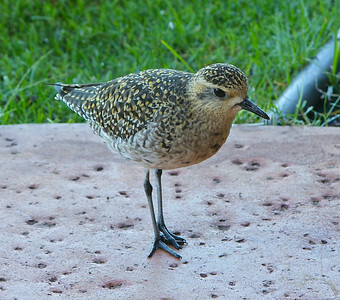 Pacific Golden Plover. 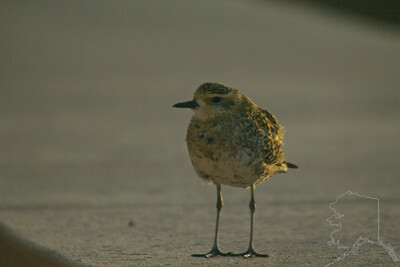 The Hawaiian name for the plover is kolea, which means "boastful." 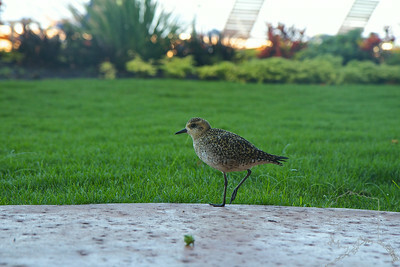 It is believed that the ancient Hawaiians followed this bird on its migration and found the Hawaiian islands. 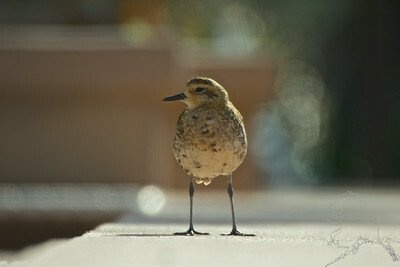 I think this is the same bird we saw last year here at Makani Sands Condos. 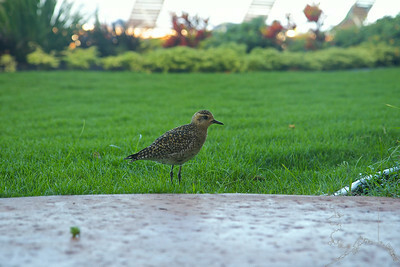 This bird was very curious of us and enjoyed the crumbs we left for it. 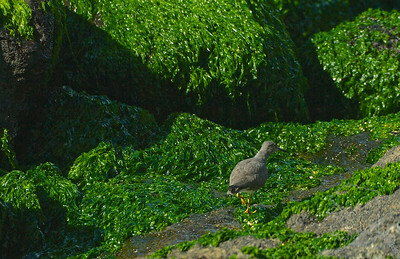 Wandering Tattler. Ulili in Hawaiian. 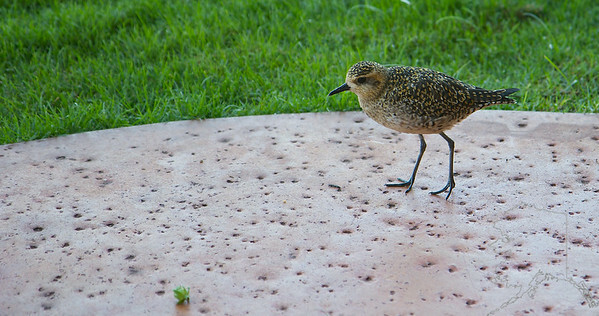 In Hawaiian culture, the ‘ulili was one of the sacred messengers and scouts. 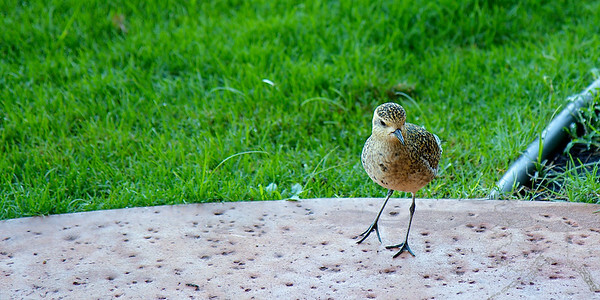 Likewise, in English, it was nicknamed ‘tattler’ by hunters because it is a good ‘watch-bird,’ alarming all the other birds when hunters or predators are nearby. 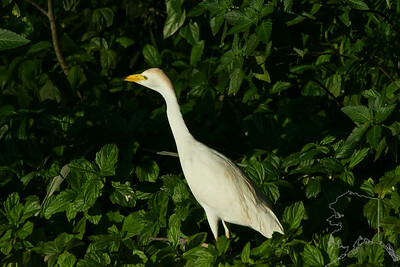 Cattle Egret. Here on Maui, they have the continual burning of sugar cane throughout eight months of the year. 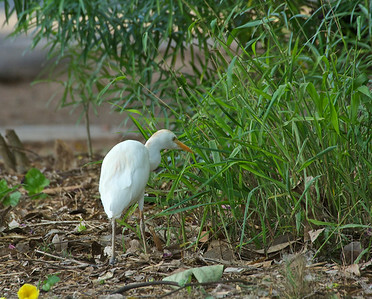 These cattle egret birds will fly great distances in flocks toward the smoke, so they can feed on the insects that are running for their lives. As the locals here say, "When there is a 'burn' the ground looks like it's moving." 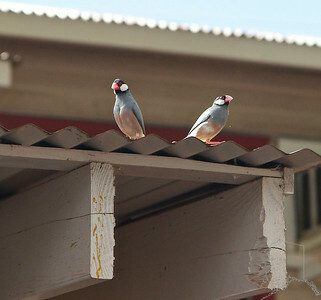 Java Sparrow. 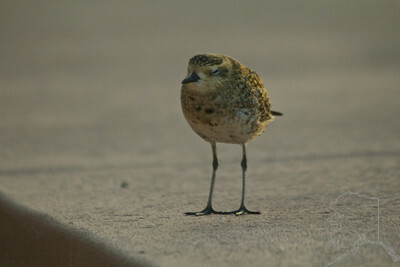 A non-native bird introduced sometime in the last 100 years. 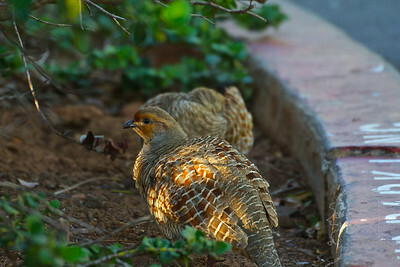 Gray Francolin a common bird on Maui and Hawai'i. 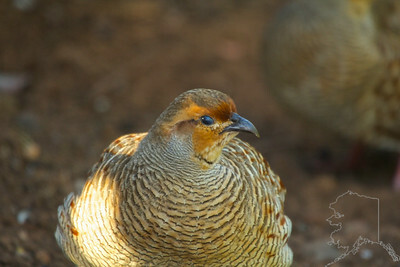 Introduced from India in 1958 as a game bird.